Editor’s note: This is the eighth installment of Sanctuary City, a fictional apocalyptic serial that appears regularly in Ecolocalizer. Read the previous chapter here. His love of architecture had once again caused him physical pain. 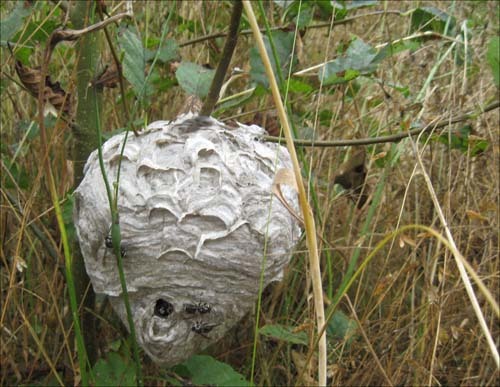 As Klaus was swiftly floating down the Chehalis River, en route to reunite with Haskal, he noticed an especially lovely wasp nest hanging from a young tree. Although he was already late, he scurried up the river bank to get a closer look. It was clearly the work of the Baldfaced Hornet, Dolichovespula maculata, and quite beautifully executed. While Klaus was closely admiring the building’s intricate saliva construction and organic form, a number of its residents became quite agitated, and began viciously stinging his nose and paws. He quickly dove back into the river, narrowly escaping the growing swarm of angry hornets. Klaus was often intrigued and inspired by the constructions of many other creatures, from wasps and weaver birds, to swallows and spiders; although the strange ugly structures that most humans, Homo sapiens, built usually left him cold. Although Klaus was incredibly frustrated with the invasive humans, he was also somewhat intrigued by the species as well. 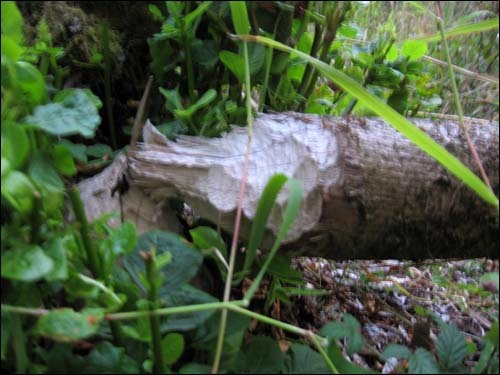 It seemed that occasionally the mammals made feeble attempts to create more organic structures that more closely emulated the excellent work of beavers. In his travels he had seen the random earth bag dome or organic yurt, as well as various adobe shelters and straw bale homes that indeed seemed much more comfortable and sensible than most other human dwellings. 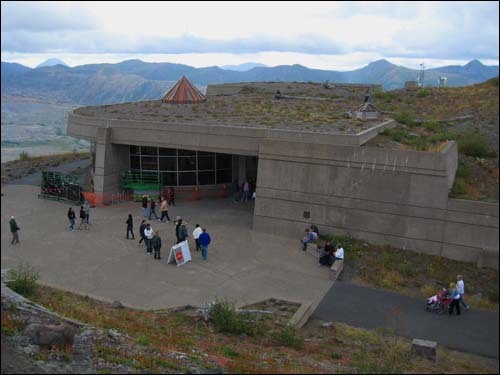 Klaus had recently encountered a large human structure near Mount Saint Helens that was nestled into the earth with a living roof. It was still a mess of cold hard concrete and sharp right angles, but it was something of an improvement over most of their work. 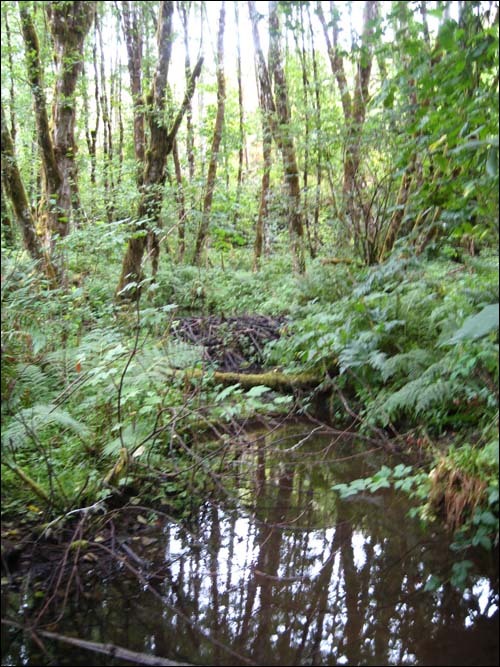 It seemed that the species was attempting to adapt some beaver techniques, utilizing earth insulation, native plants and incorporating the construction into the surrounding natural terrain. He wondered if there was a glimmer of hope for this loud arrogant species?